Have you ever painted a room only to discover that the finished result doesn’t quite look like the swatch you picked out? It all has to do with how we see color. 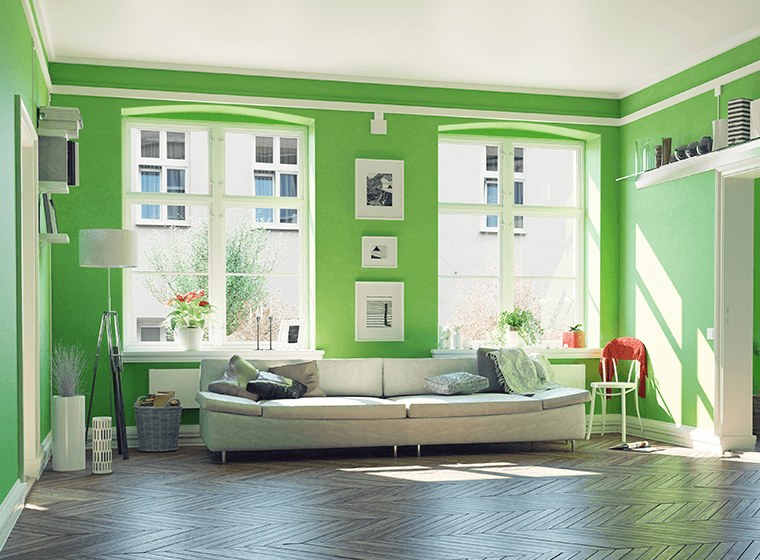 The type of light we’re experiencing at the time can make a huge difference in how the color looks in a room. For example, if you’re looking at a shirt under incandescent lighting, it might appear black. But if you look at the same shirt in natural daylight, it looks navy blue. This effect is known as metamerism and it’s the same thing that can make your paint color seem different once it’s actually on the walls. Because of this, it’s important to consider the type of lighting that exists in the area you’re painting. A dark hallway without a lot of natural light will need a color that works well in artificial lighting, while a sun soaked room with lots of windows will work best with a shade that reflects natural lighting. The best way to see how the light works in your space is to do a few test spots on the walls. Choose different walls so you can see how the color looks at various times during the day. You can then adjust the color a few shades darker or lighter to get the exact look you’re after. The location of the room in your home can also make a big difference in how much light you get each day, so it’s also something to consider. 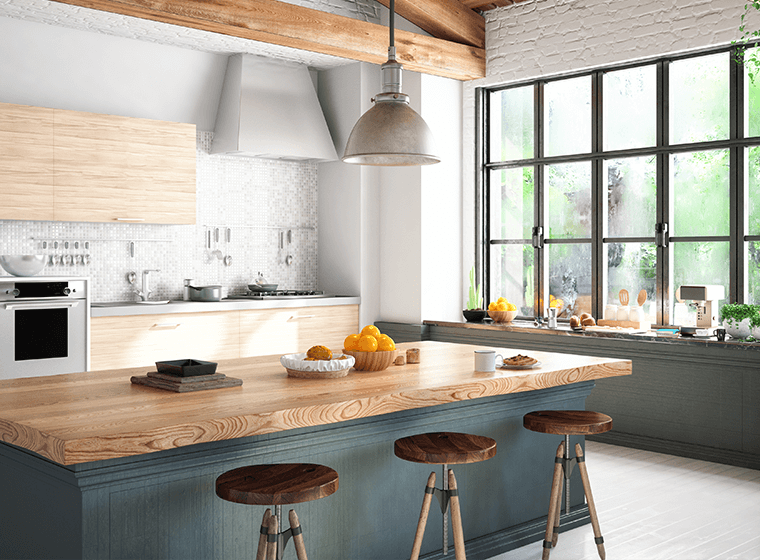 You might get a lot of morning light in a room, but if you spend most of your time there in the evening, you’ll want a color that makes the space seem brighter without relying on natural light. North facing rooms can be tough to work with, since they tend to be on the darker side. Light from the north is cooler and tends to make colors look more dull. Anything with a gray, blue, green, or lavender undertones is going to look darker. 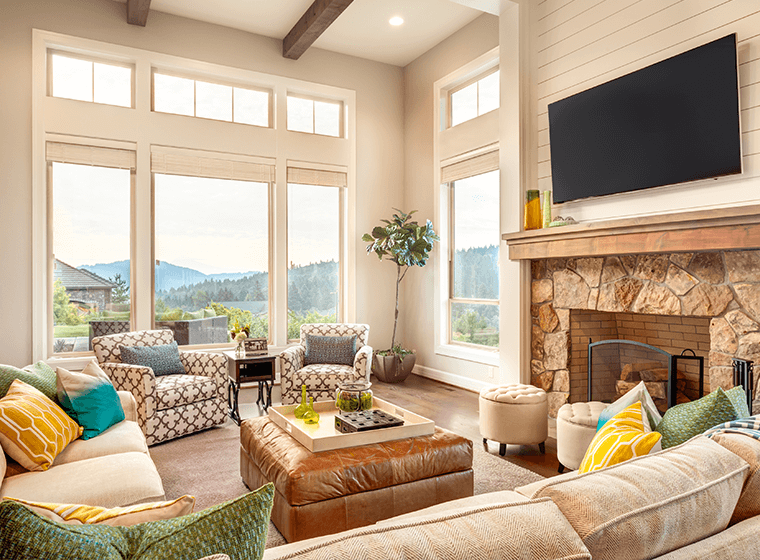 It’s best to stick to colors with warmer undertones, to avoid your space looking dark and dingy. This is especially key if you’re going with white—make sure you go with a creamy, warm white. Dark colors also work well in north facing rooms and can make the space feel bigger. Southern facing rooms are probably the easiest spaces to work with. They are filled with light for most of the day, so most colors will look great in these spaces. To really take advantage of the light, go for lighter tones that really amplify it. Dark colors work well in these spaces too, but they can often seem brighter than usual, so you may need to adjust the shade accordingly. Rooms that face west get a few different types of light throughout the day. They don’t get much morning light, so they tend to be a bit gray at this time of day. As the light shifts, the room will warm up and make bright colors seem brighter. You’ll want to consider when you spend the most time in the room and choose your color accordingly to balance the gray morning light or the warm afternoon/evening light. East facing rooms have the opposite experience of west facing rooms. They get that gorgeous glow of morning light, and get progressively darker and more gray throughout the day. So it’s the same consideration—when do you spend the most time in the room? Do you want to highlight the warm morning light, or do you need to warm it up in the afternoon and evening? Cool colors will look their best in the morning, while you’ll want something with warmer undertones for later in the day. Artificial light comes into play during those hours when your room isn’t getting much natural light. 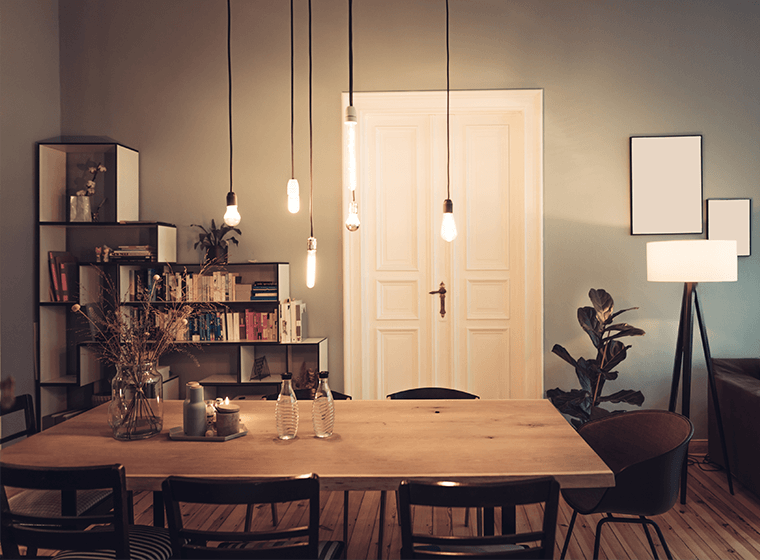 If you’re spending a ton of time in this space in the evenings or very early mornings when it’s still dark out, you can expect to rely on artificial light and will want to choose a paint color that works best for the type of light in that room. However, not all artificial light is the same, so you’ll want to think about which kind of bulbs you use in each room. Fluorescent bulbs give off an unmistakable blue tinted light. This works well with cooler colors like blue and green. You can find some fluorescents that are designed to give off warmer lights, but they aren’t quite as warm as incandescents. This type of lighting tends to dull warmer colors, so you may need to go a bit brighter in order to balance it out. Halogen lights are the closest to natural light. They give off a white light, which means they don’t change the appearance of colors as much as other types of light. Halogen works well with both warm and cool colors. It’s always a good idea to test out your colors first with halogen though, since it can sometimes cool down colors. Incandescent bulbs give off a warmer light with yellow or amber undertones. This can enhance warmer colors like red, orange, or yellow and make them seem brighter. It does the opposite with cool colors like blue and green, making them appear more dull and muted. 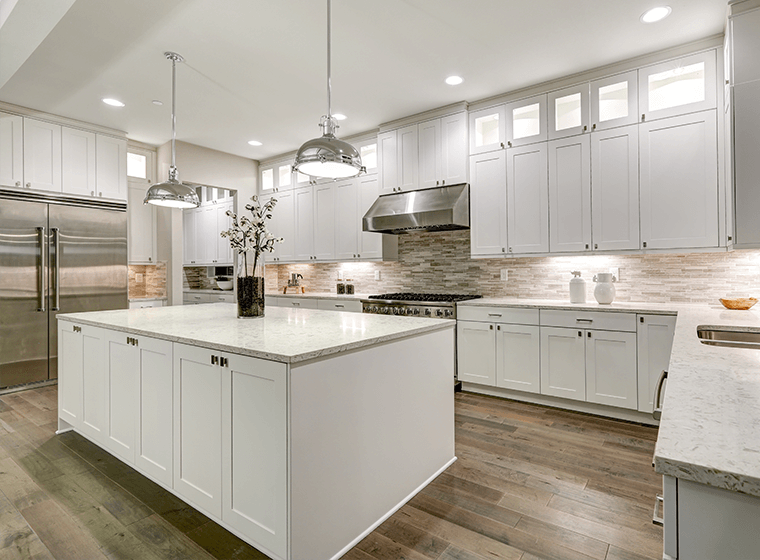 One thing to consider is that incandescent bulbs are being phased out in many places, so you may not be able to get that same level of warm light when it comes time to replace your bulbs.